The profession of attorney-at-law is pursued by providing legal assistance. Starting from 1 July 2015 attorney-at-law may also act as defence attorney in criminal proceedings. The attorney-at-law profession involves providing legal assistance, including in particular rendering legal advice, issuing legal opinions, drafting proposed legislation and appearing before courts and authorities. Legal assistance includes, without limitation, rendering legal advice or consultation, rendering legal opinions, legal representation and litigation representation. 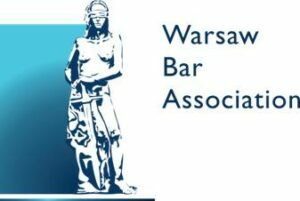 What is Warsaw Bar Association? • Censuring cases of professional misconduct or other unethical conduct: Enrolled attorney-at-law must comply with the rules set out in the Attorney-at-law Code of Conduct and may even be disqualified for certain violations. • carries on a PUBLISHING BUSINESS. One of the major roles of the Warsaw Bar Association is to disseminate knowledge about the attorney-at-lawprofession and about the law itself. In 2009, we launched a project to offer a series of publications through our own publishing house. Over two years, the project produced a dozen or so publications, both hardcopy and electronic. Our bar publishes books both for the general legal community and strictly for use with attorney-at-law apprenticeship programs. Given the large numbers of apprentices and our desire to offer a variety of educational formats, a great majority of our books are textbooks designed to support the education of apprentices to prepare them thoroughly for their profession. Textbooks developed by our lecturers also help organise the knowledge already acquired during classes and lectures. Since 1997, the Warsaw Bar Association has been the publisher of a magazine entitled Temidium which serves as a main communication platform between the Board and the members. The magazine plays an important role in developing our professional identity, facilitating personal integration and shaping our image as a professional association. Published on a bi-monthly basis, Temidium features a News section presenting the developments in the Bar, our range of courses, and sports and recreation events. The magazine also contains legal articles on various areas of law (Law and Practice) as well as a section of general interest (Varia). Temidium currently has a circulation of 10,500 copies which are distributed free of charge to all attorney-at-law and apprentices affiliated with our bar. We were one of the first Polish bars of attorney-at-law to go on-line in late 1990s. At first the website only presented address details and news, but has now developed into a full-fledged service. It offers various updates and information of use to our members and to potential clients looking for a attorney-at-law to assist them. Thanks to our ZNAJDŹ POMOC PRAWNĄ (FIND A LAWYER) search engine, those interested are able to find a legal specialist according to branch of law or registered address of the firm. The website also enables our members to look for information they need and to log on to extranet or email. You are encouraged to use our on-line service at www.oirpwarszawa.pl. Our members provide free legal aid in cooperation with local authorities in Warsaw districts. Our attorney-at-law and apprentices are involved in various pro bono campaigns of the National Board of Attorney-at-law. Our attorney-at-law collaborate with the Polish Seym (lower bar of parliament) in their respective areas of legal expertise. Our members also appear on TV where they share their knowledge and experience with the viewers. How can Warsaw Bar Association help you? If you are looking for legal assistance or wish to find a specific legal specialist close to your home, we will help you with this information for free. If you cannot afford paid services of a attorney-at-law, you can ask the court for legal aid. If the court grants your request, we will assign a attorney-at-law who will deal with the litigation for you. If you think that your assigned attorney-at-law is not discharging his or her duties properly, you can report this to our Disciplinary Officer, who will examine and assess the counsel’s conduct. • The Warsaw Bar Association maintains a roll of attorney-at-law practicing in the Warsaw circuit, which comprises the following counties and cities: garwoliński, gostyniński, grodziski, kutnowski, legionowski, łukowski, miński, nowodworski, otwocki, piaseczyński, płocki, Płock, pruszkowski, siedlecki, Siedlce, sierpecki, sokołowski, warszawski zachodni, Warszawa, węgrowski, wołomiński and żyrardowski. • Our bar is the largest of the 19 chambers of attorney-at-law in Poland. • Each attorney-at-law must be a member of the professional association. As at September 2016, our chamber’s roll includes 11,055 attorney-at-law and 1,573 apprentice attorney-at-law. • The association is administered from the headquarters with a staff of about 45. • The business of the Bar is managed by the Board, whose executive committee is called the Presidium (Dean, Deputy Deans, Secretarie, Treasurer and members). The Board is headed by the Dean. For more on our chamber’s organisation and on the various offices and functions, see the section entitled Struktura OIRP (CCLC Organisation). • Our bar runs a Legal Counsel Club and a Lex Gallery which exhibits paintings and photographs in our Warsaw headquarters. We also maintain a Lawyer Club in Płock.